Thank you Natalia for the great review, we are working hard to keep our customer happy providing an excellent service at a reasonable price. I had used Waterworks a few times and their service was prompt and efficient. However, the last 2 quotes I received seemed overly high. 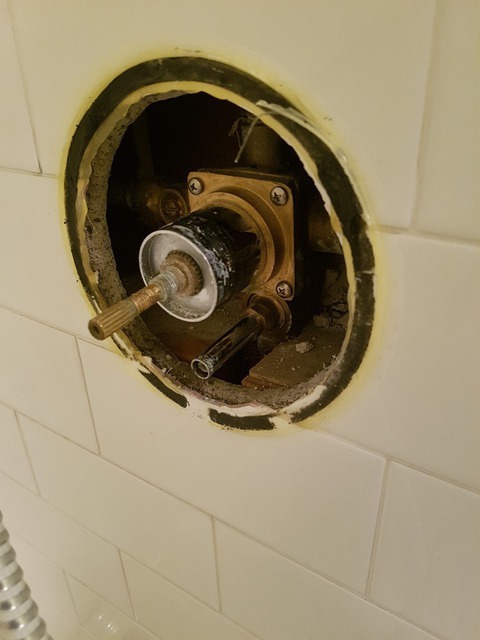 In particular, they were quoting $1400 for a new shower system so I ended up getting multiple quotes and found another plumber who would do it for half the price. That being said, plumbing work is expensive and reliable service is hard to find. As a result, despite the prices, you can be assured that Waterworks service is responsive and reliable. Dear Natalia, thank you for your review. Our prices are much in line with the better quality service providers and as far as the independents are cheaper, their responsiveness and warranty are not always as fort coming. We are always here to help you should you need us. Michael Yuffa, Natasha and The Waterworks Team. Thank you so much for sharing your review of us. I hope all is well with you all. We look forward to serving you and answering any questions you may have. The Water Works Plumbing and Home Services. I own and manage 5 properties where I have at least 50 appliances that need servicing from time to time. I call Rick ALL the time. He is responsive, very fair, very honest and generally a great guy to work with. What is especially great is that he e-mails all the receipts so it makes it so easy for tracking of all repair costs. I recommend him highly! I have used Pesticon for a few applications in a few properties - mice, dust mites and moths. They are always responsive and usually available within a day even Sundays. They are professional and follow up. Excellent service! Thanks for the wonderful review . We will always try to be the best . The construction of my front walkway and stairs was done almost 4 years ago and it has completely fallen apart. Aside from problems during the actual construction (stone column was not aligned, stones on landing not level), the stairs and stone walkway have now broken, the cement has crumbled and pieces of flagstone have fallen off the stairs. I have had to block off 3/4 of the stairs to ensure that no one injures themselves walking on them. I have called many times, left many messages and never have they actually answered the phone in person or called back. Quotes I have been receiving for repairs are about $7,000. I highly recommend NOT using this company if you want any of your landscape work to last more than 2 years. I will attach photos once they are completed.